Sunday Funday is this coming Sunday, March 31st! Here's what you need to know. 1. 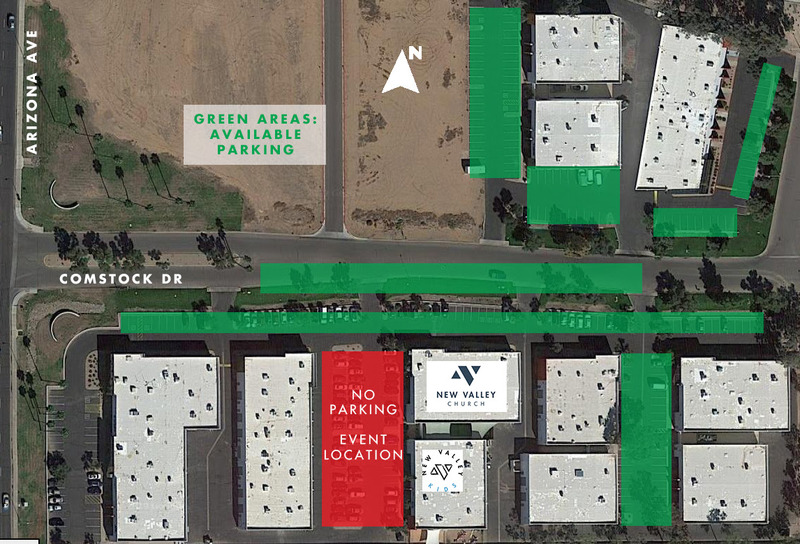 Parking: the west side parking lot (adjacent to the kid's building entrance) will be blocked off for setup of the festivities. You can enter the main building from the regular entrance and walk through to the kids building for check-in. Additional parking will be anywhere else in our business complex, along Comstock Drive and the complex across Comstock to the north. 3. Water fun! If your kiddos will be playing on the water slide or the slip 'n slide, we recommend bringing water shoes as the parking lot surface will be hot. Don't forget the sunscreen and towels! Parents, please accompany your children to these attractions as they are not supervised. 4. Food: we will have two trucks, El Taco Santo and Stacy's BBQ where you can purchase your lunch and tables and chairs outside near the water attractions. Click each truck's name for the menu. Kona Ice will be here from 1-3pm as well for a sweet treat! 5. Games and other activities: the breezeway will be open for regular play and activities. Bring your favorite game if you'd like! For those who would like to stay inside, we will be showing The Incredibles 2 in the sanctuary on the BIG SCREEN starting at 12:30. Please remove all food and drink items you bring in with you at the end of the movie. If you take photos that you would like to share from this event, please send them to media@newvalleychurch.org!